May 30, 2008 In News What is Michelle doing now? 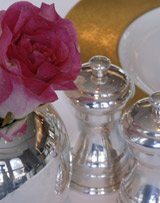 The five star Langham hotel has recently refurbished its Landau restuarnt. Michelle Chaplow photographed the restaurant on behalf of Famous Hotels of the World. 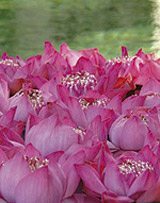 A continual flow of pink flowers is a recurring Langham theme. From the doorman’s single rose to bouquets in the Landau, these fresh accessories add a special accent to every detail. Situated on Regent street this hotel is well located for both buisness and pleasure. Even if you aren’t a guest in the Hotel, the Landau and the Aretsian bar are open to all. In the newly refurbished Landau from Monday to Saturday, there is a pre-dinner menu for theatre lovers from 5.30pm -7pm and afterwards at 10pm to 11pm. The menu has been carefully selected by head chef Andrew Turner, an ideal excuse to sample his contemporary European cuisine in exquisite surroundings. The Langham was opened in 1865 and prides itself on being the oldest five star hotel in London. In terms of photography in Andalucia, the May patio festival is without a doubt one of the highlights. Private homes open their doors to visitors who relish the splendor of traditional Andalucian Patios. This festival coincides with an Andalucian landscape that is in full bloom. 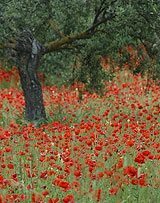 The image of the poppies and olive trees was shot, just outside of the town of Ronda. This is the season just before the lush green spring fields disappear into a more arid summer landscape. The light and beautiful landscapes during the month of May are ideal for capturing, nature´s palette. The wild flowers bloom and the local residents in Córdoba compete for the best patio in town – a photographer’s dream. The owners not only welcome photography, they are extremely proud of their artistic creations and very hospitable. Olé for the patios! Michelle visted the London Picture Buyers Fair at the Islington Design Centre May 7th and 8th, 2008. BAPLA (British Ascsociation of Picture Libraries and Agencies) organizes this event. It´s the world´s largest event for image buyers. This is an ideal to fair to visit picture libraries, meet clients and suppliers as well as attend some excellent seminars. This year’s seminars included “Trends in editorial picture buying”, “Copyright and content”, “Photographs and privacy issues” and finally “A memory of the present”. Michelle Chaplow believes that within the changing world of photography, it’s always best to have your finger on the pulse of new trends and changes in photographic legislation. 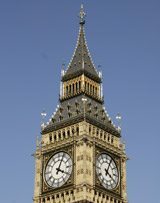 2008 marks the 150th anniversary of Big Ben. Michelle took advantage of a blue sky day in London, to take a stock images of Big Ben and the London eye. 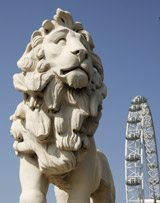 Two emblematic icons of the British capital. Michelle Chaplow has been commissioned to work on this latest edition of the Oriental Hotel in Bankok’s history, written by Andreas Augustin and Andrew Williamson. Jim Thompson, the silk king, owned the Hotel. The late Peter Ustinov loved it. Somerset Maugham has a suite named in his honour and Michael Jackson hid from the press there. The queens of the screen stayed at the hotel, the Queen of England enjoyed it and Her Majesty, the Queen of Thailand, is a beloved, faithful regular at this infamous establishement. Photographer Michelle Chaplow was chosen to revamp the books images. Read more in the Published Works section. 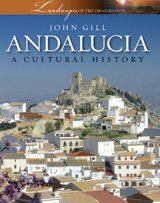 Michelle Chaplow has just completed all the photography for a new book entitled Andalucia, A Cultural History, by John Gill, who is also the author of the Thomas Cook Guide to Seville and Andalucia and Essential Gaudi. This book traces the origins of Andalucia from the earliest hominid settlers in the Granada mountains 1.8 million years ago, through successive Phoenician, Greek, Roman and Muslim cultures, and the past five hundred years of modern Castilian rule, up to and including the present day of post-modern novelists in Córdoba and Sevilla, guerrilla urban archaeologists in Torremolinos and Marbella, and underground lo-fi bands in Granada and Málaga. 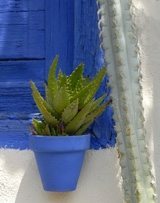 Andalucia is the sum of its ancient cultures and also a pointer to where Europe is heading, a beacon for both wealthy north Europeans and refugees from the south, a garden of earthly delights for some, a terminal beach for others. The book will be published in July by Signal Books publishing house in London. The British Chamber of Commerce in Spain (BCCS) celebrated its 100th Anniversary with a gala dinner at the Intercontinental hotel in the Spanish capital, Madrid. 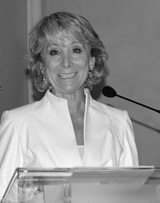 The president of the Autonomous Region of Madrid, Esperanza Aguierre Gil de Biedma was the guest speaker. She was delighted to speak to an organization in Spain that was celebrating its centenary. Aguierre commented that she has always admired the British parliamentary system, which has existed since the middle ages. She admires how the British maintain their traditions and congratulated the British Chamber of Commerce on 100 years of continual Anglo-Spanish trade investment in Spain. The British ambassador, Mrs Denise Holt, was also in attendance together with over 100 active members of the BCCS. 150 years of Big Ben.